Record sounds directly in Wolfram Notebooks. 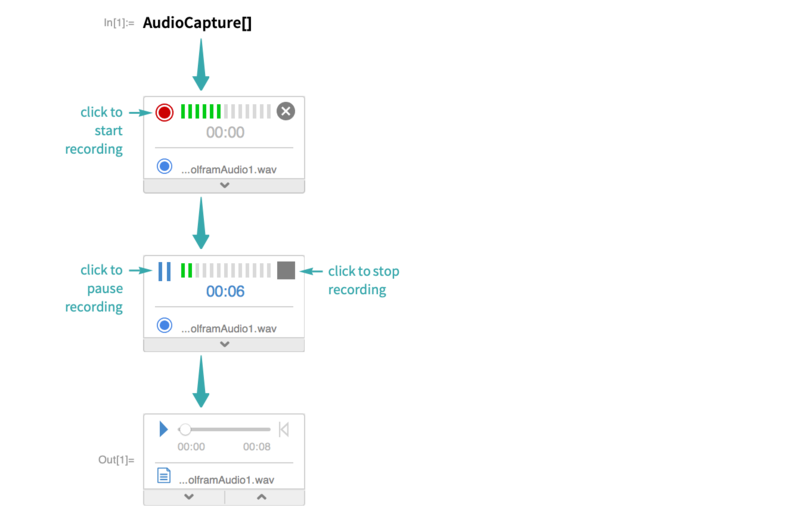 AudioCapture records from audio input devices such as built-in microphones or attached USB headphones. AudioCapture records to the file shown at the bottom of the Audio object to avoid using excessive memory in the notebook. If the file is deleted, the Audio object will no longer work.